Liz Costello graduated from Princeton University in 2010 where she was a three-time All-American, and then used a fifth year of NCAA eligibility to earn her fourth All-America honor while beginning graduate school at the University of Tennessee. In 2012, Liz competed post-collegiately and finished 3rd at the US XC Championships, 1st at the NACAC XC Championships, and 16th in the 10,000m at the US Olympic Team Trials. The 2014-2015 season was her first as a member of Team New Balance Boston, during which Liz ran as a member of the US Ekiden team in Japan, finished 6th in the 2 mile at the US Indoor Champs, finished 7th in the 10,000m at the US Outdoor Champs, and finished 4th in the 10,000m at the Pan American Games in Toronto. 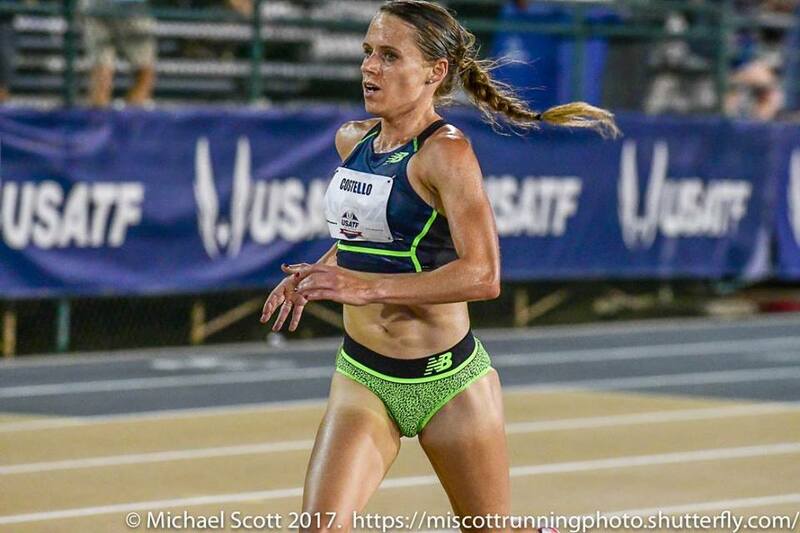 In 2016, she finished 6th in the 10,000m at the Olympic Trials. Most recently, Liz completed her first marathon in Boston this year and is looking forward to continuing to explore this distance while also chasing new personal bests on the track.